Fabulous cards Lori, such a clever way to ground images, a great way to use your small floral stamps - I will have to try this. 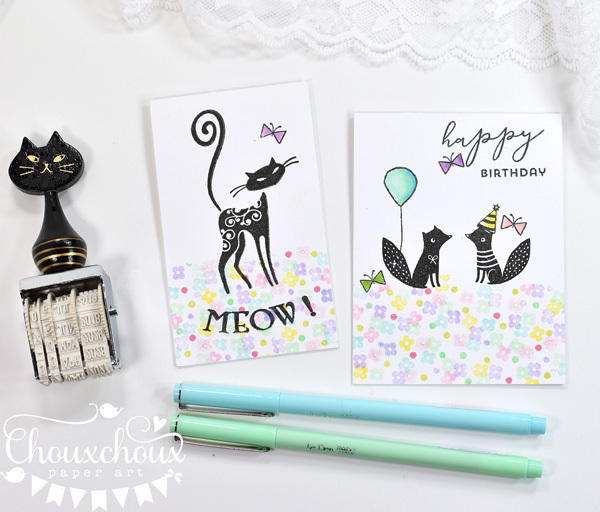 Your cards are always so cute and sweet and these aren't an exception! How cute! 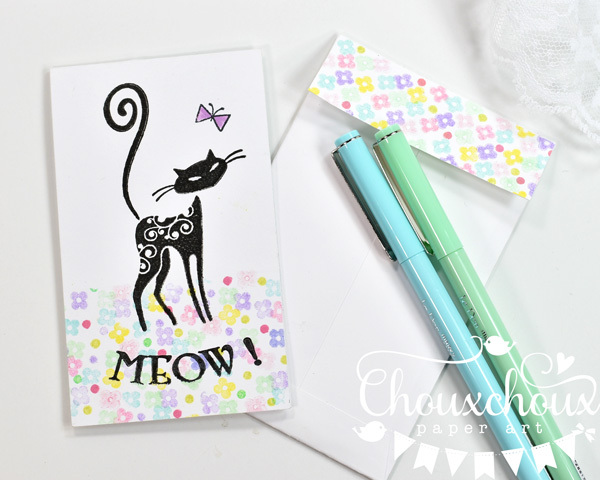 The ideas to use the tiny flowers stamp are brilliant! Love both the versions and especially the tone on tone one!Thanks for sharing! Your cards are adorable Lori! I love how you used the small stamps for the ground! It adds lots of interest and looks so fun too! I'm gonna try and remember this the next time I grab my mini stamps! Have a great weekend! The cards are darling; love this use of the mini floral stamps. I never thought of using mini flowers in this way, but it looks fun and fabulous! Love the cards you made with them! I enjoyed your video, Lori! I hope to try this myself! 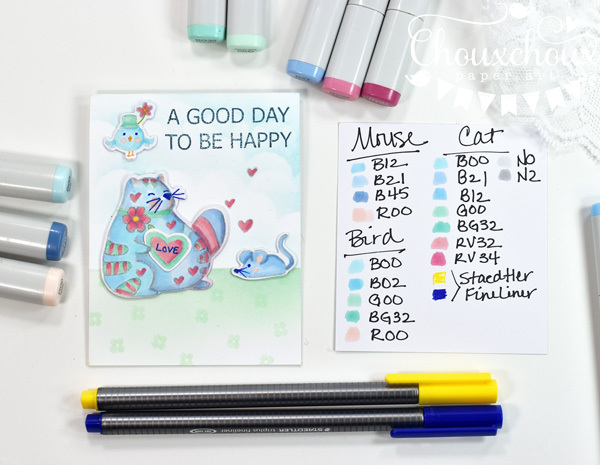 I like the colours you used for the chubby cat, so cute and fun! Great cards! I love them! 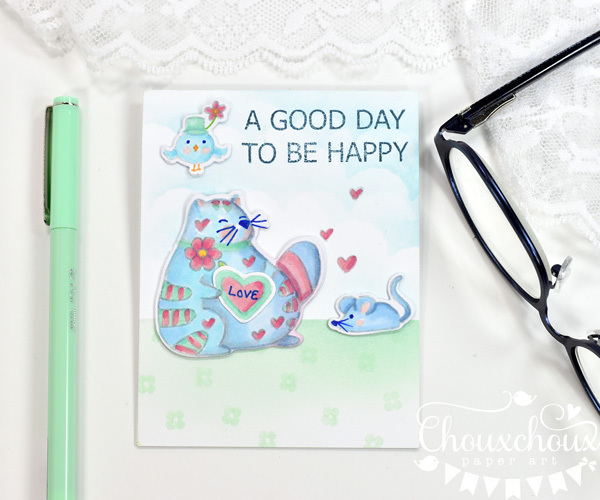 Your cards are just adorable! I love the mini floral stamps! I really enjoyed your video! Oh, wow! Just love all the sweet critters and the awesome cool cat!! How interesting and fun to make the ground with the mini flowers, so creative!! 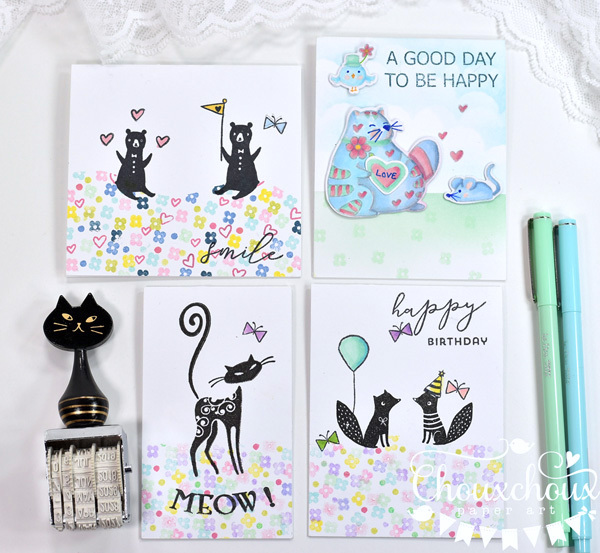 All of these are sooo cute, adorable images and I love all of the tiny stamp flowers! 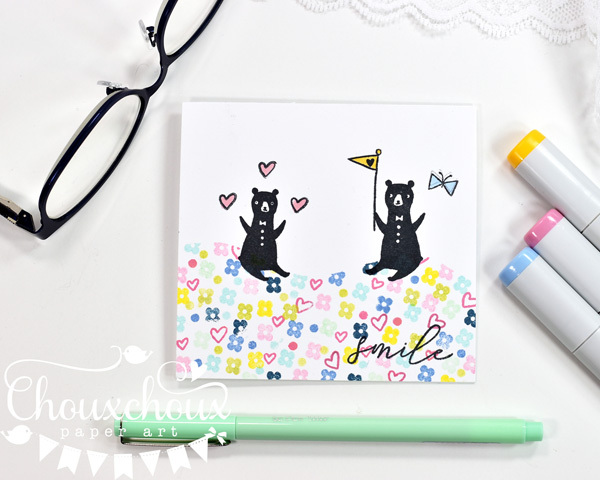 Clever idea, Lori--darling cards! I love the matching envelope flap! I love the blue cat card. So cute. Hugs Mrs A.